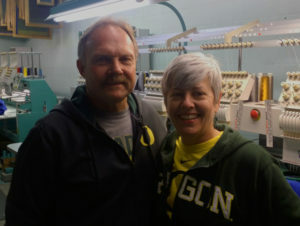 Imprints Design & Screen Printing was established in 1980 by owner Larry Rydell in the city of Grants Pass, Oregon. Our services include decals, banners, signs, and more. Our expertise is printing specialty items such as reproduction vintage car parts & emblems, component labels, and other high-tech or unusual items.